When building a custom deck for your Omaha home, it’s important to consider the long-term look and wear of the deck. Additionally, consider the maintenance needed to put into your custom deck each year. 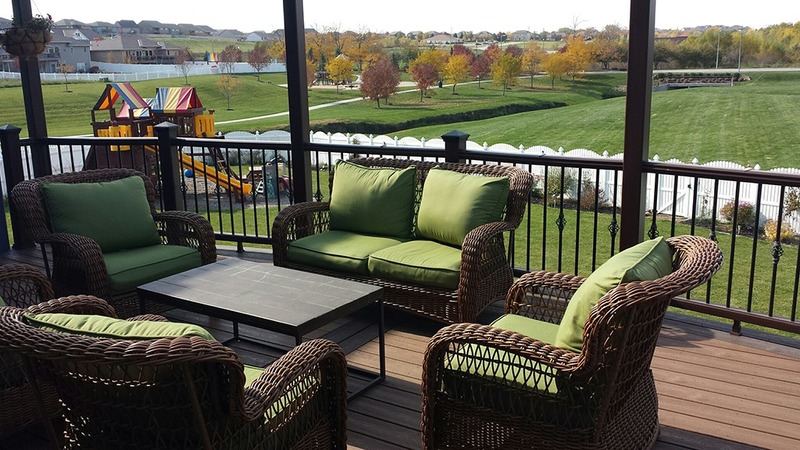 This is why so many Omaha homeowners are choosing low-maintenance custom decks. Our custom deck builders specialize in low-maintenance decks, which allows for more enjoyment and less work on the part of homeowners. Low-maintenance decks mean no splinters or cracked boards and are an environmentally responsible choice. And while wood-alternative technologies are an excellent choice, our Omaha custom deck professionals also offer mixed-decks – a combination of cedar and low-maintenance material – for a long-lasting, durable and beautiful choice. 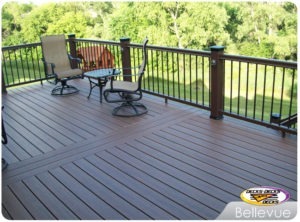 At Decks, Decks and More Decks, we are the highest rated low-maintenance custom deck builder in the Omaha area. 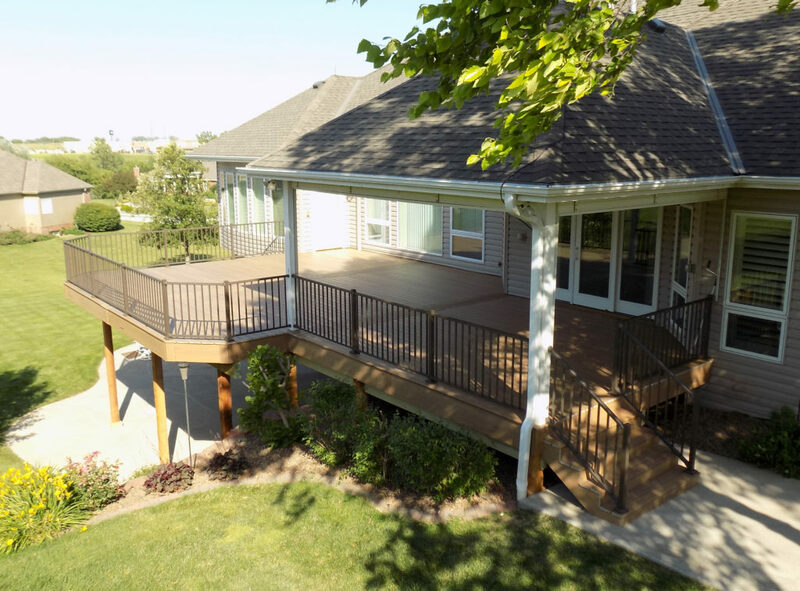 We’d love the opportunity to show you what a custom deck would look like on your Omaha home with a free consultation and a 3D rendering of your deck on your home. A custom deck can add beauty, enjoyment and value to your home. This entry was posted in Custom Decks Omaha and tagged custom deck builder omaha, custom deck omaha, low-maintenance deck on January 28, 2015 by Decks, Decks and More Decks. 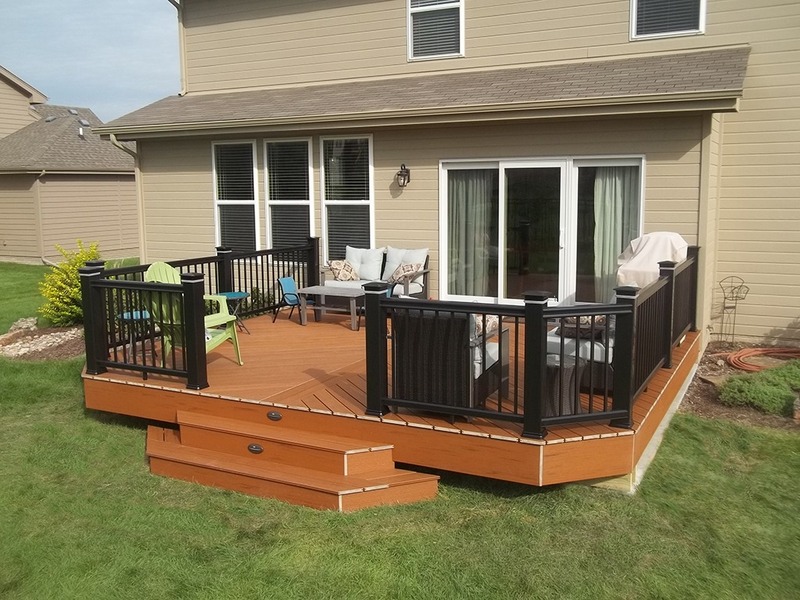 Let us help you envision your custom Omaha deck before you purchase it. State of the art 3D modeling prior to purchase allows you to adjust layouts, colors and style in advance, leaving you without regrets! There are decks and then there are well designed decks that look like an extension of the home! Mixing colors, levels and stair placements all factor into a “wow” deck versus simply a “nice” deck. This entry was posted in Projects and tagged custom deck builder omaha, custom deck omaha on January 15, 2015 by Decks, Decks and More Decks. Many home owners are left with an less than desirable ugly patio slab on the back of their homes. Well, no more! Upgrade to some thing that fits your life style. This low-maintenance deck features wonderful color combinations, a wide entrance, cozy atmosphere and an alternative flooring pattern. Lastly to top it all off, low-voltage lights surrounds the deck giving it a ambiance in the evening to draw you into your new living space! This entry was posted in Projects and tagged custom deck omaha, deck accessories, low maintainence decks omaha on January 15, 2015 by Decks, Decks and More Decks.